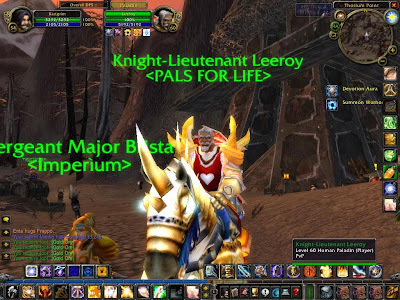 Master of World of Warcraft : The "Leeroy Jenkins" video was initially uploaded May 11, 2005 - 10 years ago today. The "Leeroy Jenkins" video was initially uploaded May 11, 2005 - 10 years ago today. This video was made by a group called pals4life and they made all sorts of "funny" wow videos before and after this, but nothing ever got as popular as the leeroy video. No one in their right mind would have pulled all the whelps and boss and legitimately tried to fight it at the time this made; gear available at the time was not strong enough. It was (apparently) intended to take the mickey out of a stereotypical raid, complete with elaborate strategies explained over Ventrilo. The one they're laying out is obvious rubbish ("I'm coming up with a 32.33, repeating of course, per cent chance of survival", "We're gonna need Divine Intervention on our mages", etc), not to mention that they then deliberately mess up the execution. I've no idea how it's still funny after being milked to death over a decade, but there it is.